French photographer Edouard Mortec lives in Paris – and he seems to really like it. So much in fact that he invites us to become locals as well. In his self-published book Paris Umbrae Mortec takes us on a walk through Paris‘ shadows introducing us not necessarily to a darker side, more to a casual one. Through his images, first published on his blog, we become bystanders of everyday life, spending our time in the Metro or on avenues far away from tourist attractions. 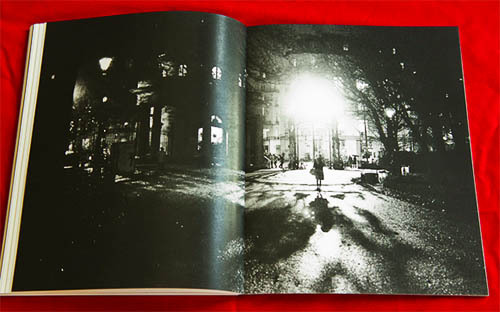 The limited edition Paris Umbrae is a beautiful walk through another side of the city of lights – which you can order directly from the author through his Web site. Double page spread of Paris Umbrae by Edouard Mortec.